Sebastian Efler is an Austrian Percussionist. Since Summer 2016 working as Co-Principal Timpanist and Percussionist in Hyogo Performing Arts Center Orchestra(HPAC) in Japan under the baton of Maestro Yutaka Sado. As a son of two concert pianists he finished his scholar education with distinction in 2010 at the “Vienna Music Middle School”. 1995 he began to learn Piano with Professor Traudl Panhofer in Vienna. Later, he entered at the Vienna Music Conservatory (Konservatorium Wien Privatuniversität) to study Organ with Prof. Michael Gailit. 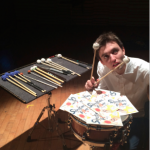 Since 2004 he studied percussion with Prof. Christian Wieser at “Neulengbach School of Music”, then with Prof. Josef Gumpinger (RSO Radio Symphony Orchestra Vienna) at the “Vienna Music Conservatory” and since 2011 he studied at the “Universität für Musik und darstellende Kunst Wien” in Vienna. He was specializing in Marimba with Prof. Thomas Lechner (Vienna Philharmonic Orchestra), in Timpani and Orchestral Repertoire with Prof. Anton Mittermayr (Principal timpanist at Vienna Philharmonic Orchestra), Wieland Welzel (Berlin Philharmonic Orchestra), Michael Vladar (Principal timpanist at Vienna Symphony Orchestra) and Prof. Josef Gumpinger in Multi-Percussion and Snare Drum. 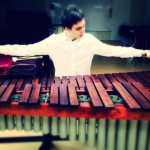 Emphasizing in Marimba he recived lessons with Katarzyna Mycka, Prof. Marta Klimasara (Musikhochschule Stuttgart) and Conrado Moya. As a Percussion and Marimba Soloist Sebastian Efler is giving concerts and recitals in several European countries as Spain, Germany, Austria and Poland playing at international Marimba and Percussion festivals but also in American countries. 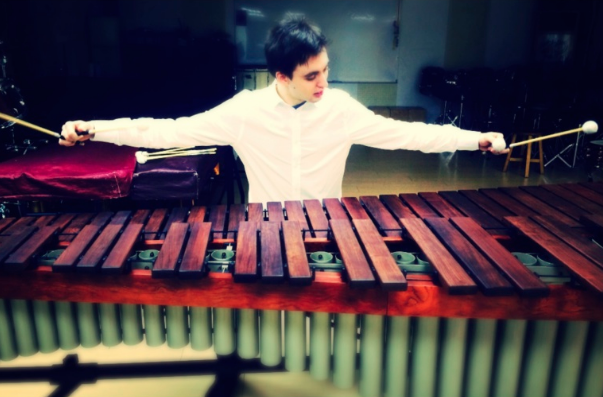 Since 2012 he was invited to teach as guest professor for Marimba and Percussion at the Music Conservatory of Coruna and Lugo (Spain) as well as at the Music Conservatory in Bogota and Bucaramanga(Colombia). In 2017 he was invited to play a recital with his duo FACE:FACE featuring Dianne Baar as pianist at the Vienna Musikverein. 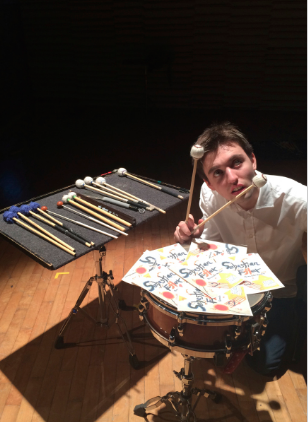 Since 2011 Sebastian was working as timpanist in the Orchestra Sinfonietta Baden in Vienna. As a substitute he is also playing in other professional orchestras as the Tonkünstler Orchester Niederösterreich, the Haydnphilharmonie Eisenstadt, the Vienna Radio Symphony Orchestra and the Concentus Musicus Wien. Working in these orchestras he worked with several famous conductors as Nikolaus Harnoncourt, Yutaka Sado, Andres Orozco Estrada, Fabio Luisi, Thomas Rösner and Michail Jurowski. Further orchestral activities in Vienna: Timpanist at the Wiener Jeunesse Orchester and the Junge Philharmonie Wien.